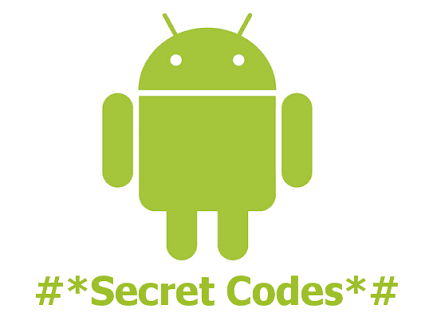 Android Secret codes are secret code of android OS.Here we tell you top 10 Best Android Secret Codes and Hack for Android Mobile Smartphone.Android secret codes make your android phone more easier to use.You can unlock phone secret places and settings. - Files on your SD card, like photos, music etc. This code formats your Android device, so do it only if absolutely necessary. The code is used in order to perform a factory format on your device and removes all settings and files, including the internal memory storage. It reinstall's the phone's firmware and there is no way to cancel this operation, except removing the battery from the device. Using the 'Update camera firmware in image' option has been known to make your camera stop working, so it is advisable to not choose that option. This code allows you to manipulate the function of the power on/off/lock button on your smartphone. Instead of getting the options for silent mode etc. you can choose to make it turn off the power directly. This is a very useful code that lets you backup your images, media files, video, voice memo etc. You will get a file copy screen allowing you to backup images. The idea behind entering the Service Mode is that you can run various tests on your device using this. There are various codes that you can use for this one. The following codes provide the firmware information about your device. There are various other factory tests that you can run on a smartphone.